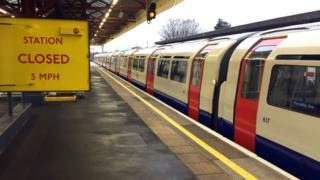 London Underground could face disruption from industrial action after workers rejected a pay offer. The Transport Salaried Staffs Association (TSSA) said a 2.5% pay rise had been unanimously rejected. General secretary Manuel Cortes called it a "derisory" offer and said it looked inevitable a strike ballot would be held. Transport for London (TfL) called the offer "fair and affordable" and said it wanted discussions to continue. The Rail, Maritime and Transport (RMT) Union - the other union to represent Tube drivers and station staff - last week announced it was to ballot its 10,000 members over the pay offer. Mr Cortes said: "Our negotiations team has been working extremely hard to secure the best possible deal. "Sadly, London Underground management have made a derisory offer which falls well short of our members' aspirations." He said the strike could take place as early as next month but added the union would welcome further talks, including with the Advisory, Conciliation and Arbitration Service (Acas). The dispute takes place against a backdrop of TfL trying to cut back its £1bn budget deficit. BBC London's transport correspondent Tom Edwards said the debt was due to a number of things, including a cut to the government grant, London mayor Sadiq Khan's partial fare freeze, a fall in passenger numbers and the delay to Crossrail.